It is important for companies that individual employees or groups can communicate and exchange information quickly and easily in real time. With the introduction of the digital workplace and the fact that team members may not always be in the same physical location, this is becoming even more important. Employers must therefore always be able to communicate with each other and work together on all devices, particularly on mobile devices. They need to be able to do this simply, and in compliance with the strict requirements imposed by the new General Data Protection Regulation (GDPR). However, WhatsApp, the US-owned messaging service, now in widespread use, does not comply with these stringent requirements. This means that companies need to find an alternative solution for internal business communications. 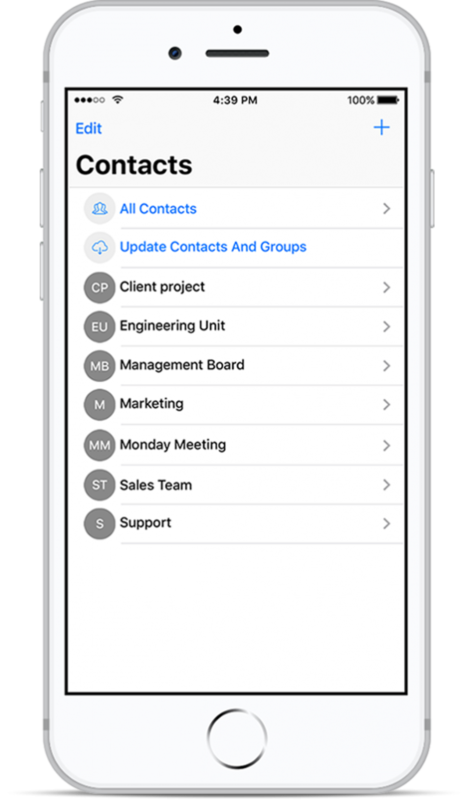 The Teamwire messaging service offers similar functions to WhatsApp, enabling individuals and groups, no matter where they are located, to communicate with each other and to exchange content such as files, photographs, videos, and voice messages. All of this intuitively thanks to an extremely intuitive and user-friendly interface. This solution was developed specifically for companies and complies with the strict requirements imposed by the GDPR. All of which makes Teamwire ideally suited as a communication solution for your business, improving communication and workflows of your employees as well as their productivity. Teamwire is GDPR-compliant and also meets high security, administration, and compliance specifications. Data, messages, and metadata are transferred and stored as encrypted data, which is held within the European Union and not circulated any further. User data is anonymized. You can manage your users and the app itself very simply by means of an administration portal for which a number of clients can be set up. Teamwire can be fully integrated into Unified Endpoint Management systems such as MobileIron or VMware Workspace ONE. Teamwire has an alarm function which you can use to alert your employees immediately in the event of an emergency: in cases such as server failure, fire, or attacks by hackers, to name but a few examples. You can coordinate your emergency team using the same method. Reasonably priced, reliable, and offering wide coverage. High security and data protection standards (DSGVO) are fulfilled. You ensure agility and high transparency in your company. Information and data can be exchanged in real time. App and admin portal can be operated easily and intuitively. We can help you implement Teamwire to ensure that your communication processes are efficient and GDPR-compliant, relieving the load on your IT team at the same time. You will benefit from our numerous successful Teamwire projects and from our many years of experience in the field of Unified Endpoint Management. Our expertise in the leading UEM systems ensures that we can guarantee perfect integration in this area. Our excellent relationship with Teamwire also means that we are able to work together to develop suitable functions to handle new requirements. Get in touch if you’d like to know more about Teamwire or other Digital Workplace solutions. We will be delighted to advise you, put together a package tailored to your specific needs and give you the opportunity to test the solution for a month.